(1) Earthquake, including any earth sinking, rising or shifting related to such event; (2) Landslide, including any earth sinking, rising or shifting related to such event; (3) Mine Subsidence, meaning subsidence of a man-made mine, whether or not mining activity has ceased; (4) Earth sinking (other than sinkhole collapse), rising or shifting including soil conditions which cause settling, cracking or other disarrangement of the foundations or other parts of realty. Soil conditions include contraction, expansion, freezing, thawing, erosion, improperly compacted soil and the action of water under the ground surface. There are 34 counties in Illinois where 1% of the surface area has been undermined. In these counties, mine subsidence coverage is automatically included in property policies unless the coverage has been waived by the property owner. In Indiana, 26 counties are eligible for the Indiana Subsidence fund. At present, no information can be found on a Mine Subsidence fund in Missouri. In Illinois and Indiana, mining has been extensive. There are a total of 72 counties in Illinois with a known history of mining. And much of the mining history in southwestern Indiana remains undocumented. The majority of this were coal mines, but mines for clay, limestone, fluorspar, lead, zinc, ganister and Tripoli were also present. Today, it's estimated that there are over 4500 abandoned coal mines in Illinois, underlying more than 750,000 acres. In Indiana, they peg the extent of mining at up to 150 square miles of underground coal mines. These mines, over time, are susceptible to collapse causing sinking or shifting of the ground surface above the mines, or the collapse of roof support of the mines. This is what's called mine subsidence. There are basically two types of subsidence. Sag Subsidence is the most common type and is caused by ground failure at several points in the mine, causing a slight depression in the ground that can extend over as much as several acres. Pit Subsidence is the other type, which forms a bell shaped hole that is usually 6 to 8 feet deep and spans anywhere from 2 to 40 feet across. A pit subsidence is the collapse of just one segment of a mine roof or possibly the mine shaft itself. Damage to property from mine subsidence can range from mild to severe. Many of the following conditions are more often a result of normal ground movement due to changes in soil moisture or seasonal temperature changes, rather than mine subsidence. Foundation, porch or steps appear to pull away from the frame of the house. Tilt in the house. Doors start swinging open, or shut, or become jammed. Windows start sticking, jamming and even breaking. Noticeable separations between walls and floors. Water pipes break, resulting in dirty tap water, loss of water pressure or interior water damage. Popping or snapping might be heard as the ground shifts. If mine subsidence is the cause, it is likely that several of these problems will develop. it may take a few days, or there may be a gradual appearance of problems over months. Ground movement from mine subsidence usually continues for years. A final claim settlement is usually not made until all ground movement has ceased. However, the property owner may be eligible to receive a payment for damage that has occurred up to an earlier time in the adjustment process and for the repairs that are needed to make the property safe. If you own property in an area where mining once occurred, you may want to consider insurance against loss from mine subsidence. This coverage is available from all insurance companies licensed in the states with mine subsidence funds. Q: How do I know if I need mine subsidence insurance? A: All property owners in areas of abandoned and active underground mines should consider purchasing coverage. The truth is, you will only know that you need it the day the loss occurs. Q: How do I find out if mines are in my area? A: Information about old mines can be obtained from your County Clerk's office. You can also find some mine maps available online through your state's Geological Survey or Mine Subsidence Fund's website. Q: How can I tell if coverage has already been added onto my policy? A: Check your policy to see if a mine subsidence endorsement is included. Call your insurance agent or company if you need assistance, they will be able to pull you policy and check for you. Q: What if I don't want the coverage? 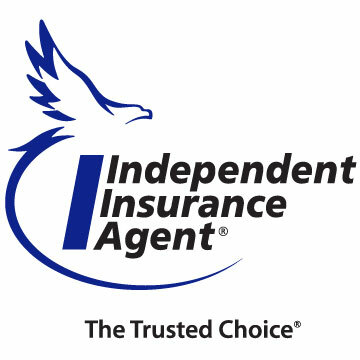 A: Simply inform you insurance agent or company. If you live in one of the counties named by your State Mine Subsidence fund, you will have to sign a waiver to decline the coverage. Q: If I don't purchase the coverage now, can I change my mind later? A: Yes, providing there is no existing mine subsidence damage to the structure at the time you apply for coverage. Q: Is the insurance expensive? A: The one year premium will run anywhere from $49 for $100,000 of coverage up to $206 for $750,000 in coverage. In Illinois, $750,000 is the most coverage you can buy on any one structure, commercial or residential. Here's a link to the rates for Indiana. Q: What does this insurance cover? A: Mine subsidence insurance covers direct loss to buildings. It does not cover damage to contents, land, trees, plants or crops. Q: What can I do if I suspect mine subsidence damage? A: Contact your insurance agent or company to report the loss. Keep notes of the damage you have observed, and the date you first noticed it.